This tapestry 'Union Station' is based on the contemporary work of artist Noah Li-Leger. In this piece, we see the abstract art influences that have been the main force in his artistic life that began from his father's influence, an acclaimed abstract artist himself, Don. The works of Noah Li-Leger including his many paintings and sculptures are shown in galleries worldwide. The abstract forms evoke a sense of movement as well as mystery, as the full interpretation of the piece is always up to the eye of the beholder. 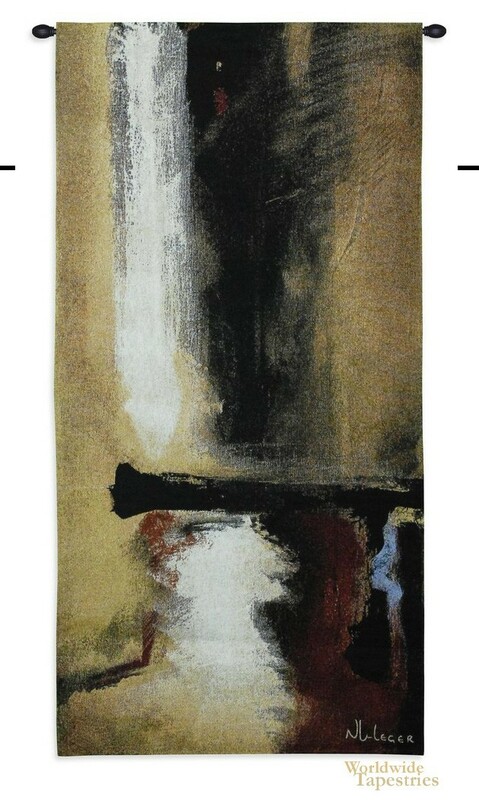 This tapestry is backed with lining and tunnel for easy hanging. Note: tapestry rod and tassels, where pictured, are purchased separately. Dimensions: W 27" x H 53"